Its this time of the year again where kids will be knocking on your door while shouting, “Trick or Treat!” They’ll be filling their loot bags with candies and sweets, and of course, they’ll be on the lookout for your creative and scary Halloween room themes and decors. In order for you to give the kids and your guests a good but scary feeling when they visit your condo, you need to have the best halloween condo design ideas to provide them a “spooktacular” feeling that is just appropriate for this spooky season. Unfortunately, the weather during this season may seem be quite unpredictable in nature. 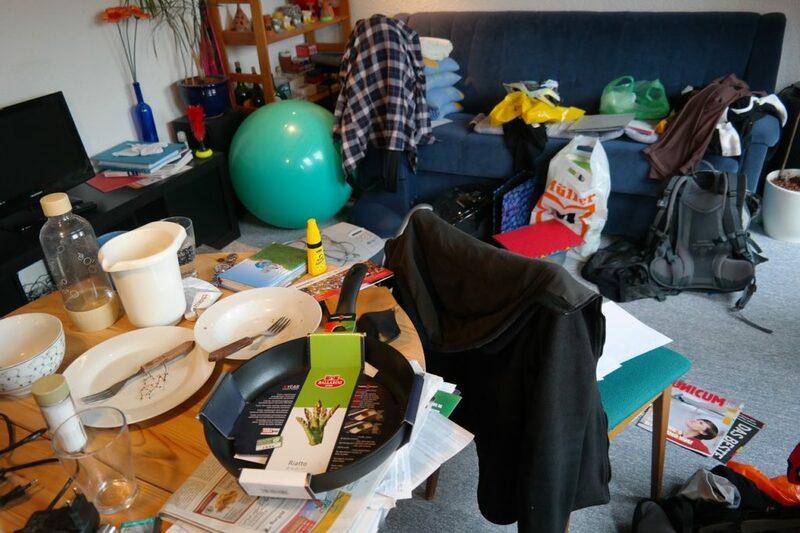 Whether, it is raining outside or not, one of the ways to kill boredom in your condo is to redesign it according to event scheme and hold activities that any of your kids and relatives will enjoy and love. Are you ready to be thrilled and scared for your Halloween condo design this year? 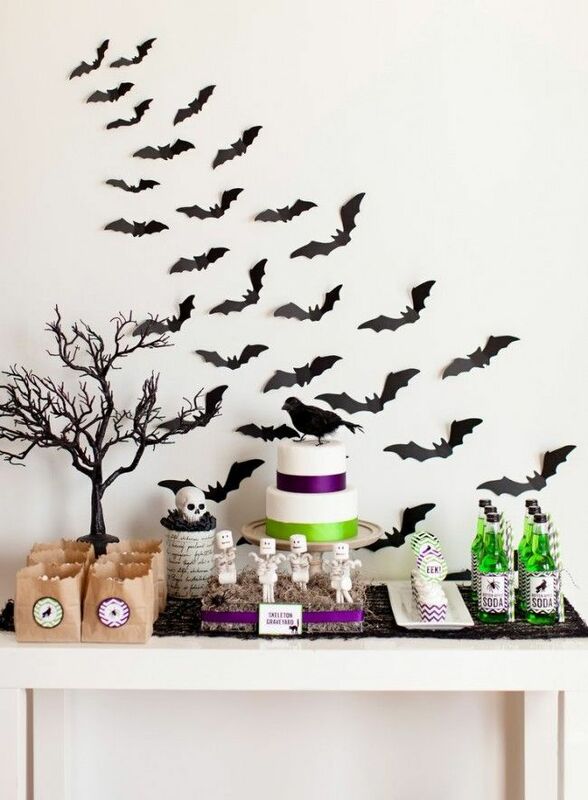 Or do you need the perfect Halloween theme as part of your condo party guide? Here are 10 exciting and scary (but fun!) ways on how to redesign your condo this Halloween season. The kids and kids at heart who are Harry Potter fans will surely be in a treat when you decide to have a Harry Potter-inspired theme for this year’s Halloween in your dining area for your Halloween condo party. 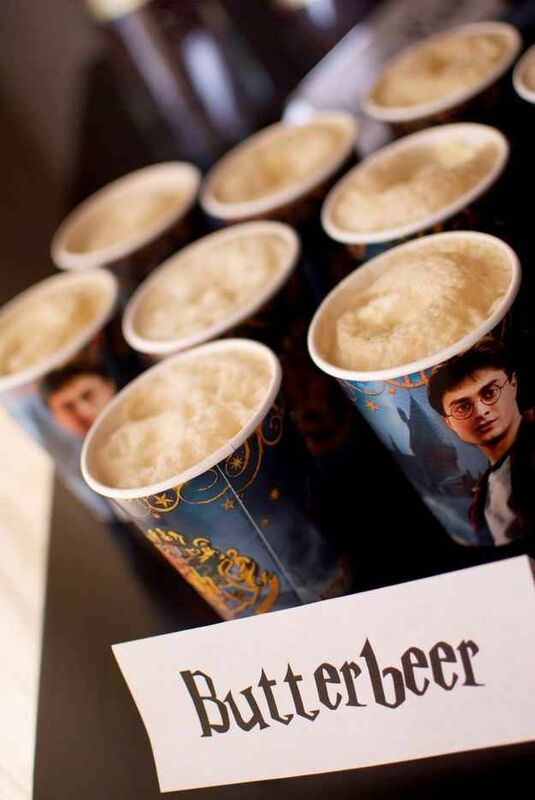 You may opt to serve rootbeer to your guests and make them think that it’s the real butterbeer. For kids, you may have old robes and have them dress up like Hogwarts students before heading to the Great Hall where you can have 4 small tables per house. Have a small witch’s hat to serve as the sorting hat and sort them into their houses before giving them their treats. Have the kids play a simple magic game by lending them wands while teaching them a spell or two from your Harry Potter spellbooks as one of your Halloween room decor and game ideas. Halloween will not be complete with the creepy spiders lurking around your area. 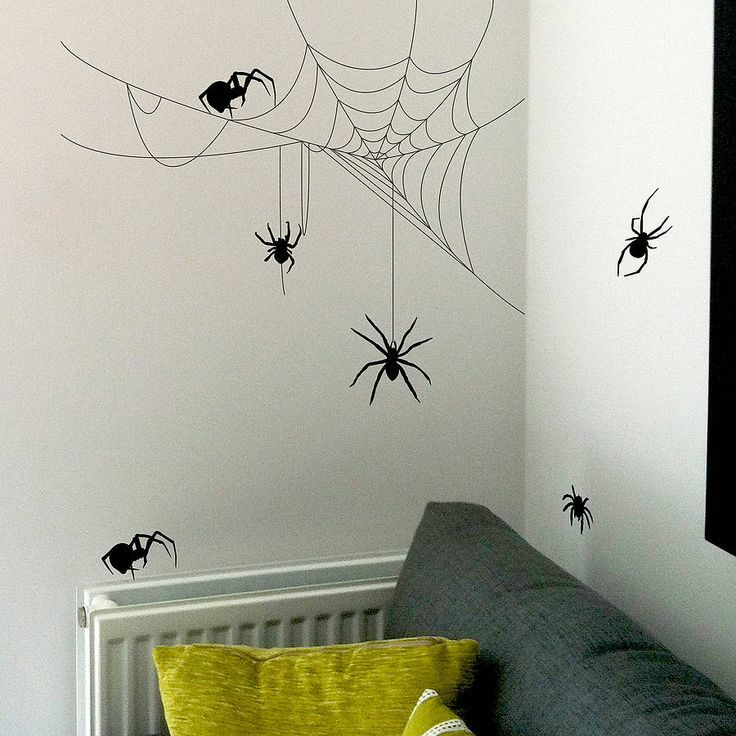 Make use of spider stickers that you can stick on your bedroom walls as part of your Halloween room design. Or better yet, you can have those small spider toys and spread them throughout your bedroom to add a creepy crawling appeal for your kids. Complete your “spider-themed” halloween bedroom design by using sheets and pillowcases with spider web designs. You can also have a DIY spider webs by using yarns and crepe paper which you can hang on your walls. If you miss those flapping sounds of the bats’ wings, you can still have them in your condo living room with a little creativity for your halloween room decorating ideas. Creatively design and cut out different bat designs using black-colored papers. You can download bat templates from the internet. Once done, you can think out of the box and stick them in such a way that they’re flying from one direction to the other in large numbers. Children will be amazed seeing those bats placed in different corners of your living room condo and they’ll instantly recognize it as your Halloween room scene setters. Are you a fan of “The Walking Dead”? Or maybe you just prefer those zombies hungry for their next victim? 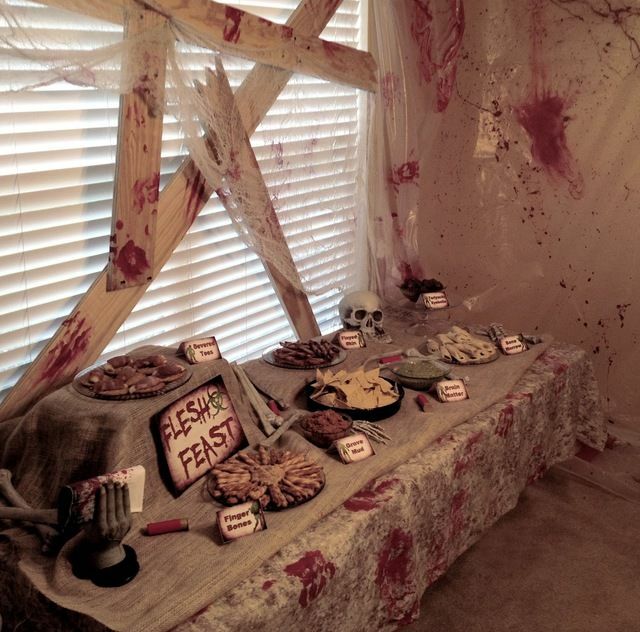 Then, you can creatively choose to have a zombie-themed Halloween room decor for this year in your dining table. You need to utilize old clothes or sheets, and lots of red paint. Make sure that the red paint resembles the color of the real blood. Have fun dripping and splashing the red paint on your old sheets and hung them across your living room. One of the fun things to do in your condo is to think of scary names for your dishes such as finger bones for your chicken fingers or blood juice for your red ice tea. Who could ever forget the Addams family and their spooky mansion? You can recreate the mansion’s living room with just a little bit of creativity! Find your old books, and some old stuff such as candle holders and place them in your living room. You can add old branches and cotton wool for a dusty feel of your items. Who says that your kitchen can miss out all the scare and fun this Halloween? 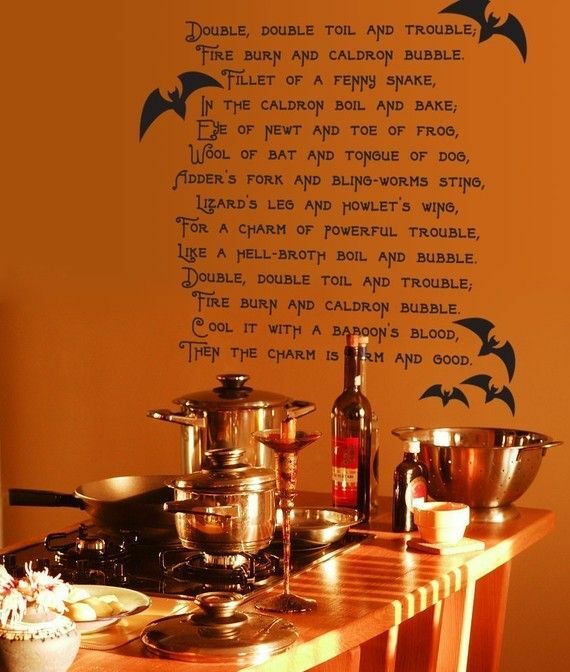 For your kitchen walls, you can use scary quote wall decals just like the one above for that spooky feel. You can also have candles lit around the kitchen, and you can use orange lights for the best Halloween feel. Make sure that you supervise the candles to avoid burning incidents. 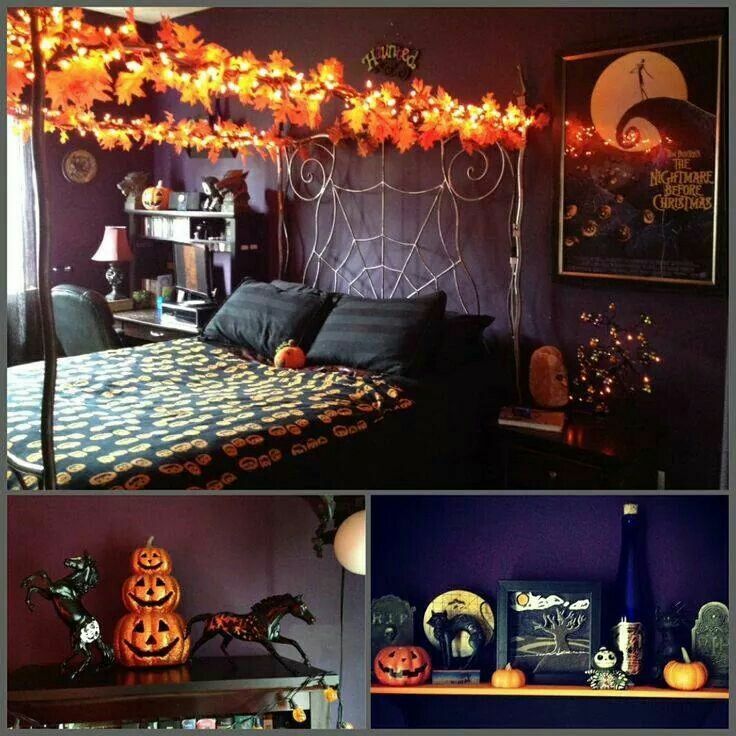 Your bedroom can still be at its best during the Halloween and this can also be your Halloween room escape. Time for you to take out those sheets and bed covers with Halloween designs. You should also be proud of your small interior decors such as pumpkins or scary picture frames that you can display during the trick or treat season. Choose if you will go for the black and white or the black and orange color scheme for your Halloween bedroom. Halloween will not be complete without the ghosts who can just give a simple “Boo!” to scare others away. 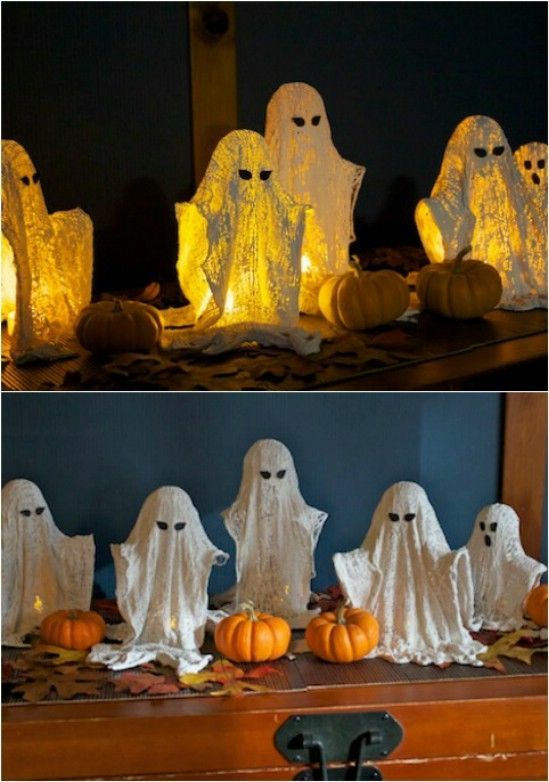 Get some cheesecloth, strings, and old balls so you can hang your big ghosts and scare your guests upon their arrival in your living room. Or for your living room decor, you can have some fun by having these interesting DIY crafts to keep you busy in your condo using wires and lights for small, handy, and unique ghost decors which you can be proud of. 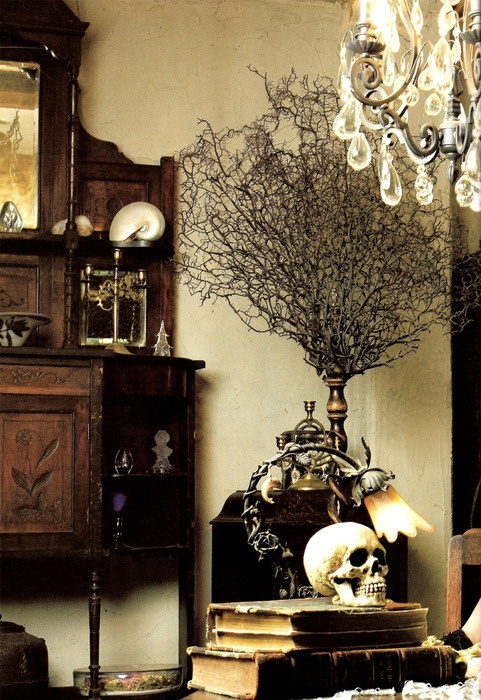 Since your living room will be the first one that will be seen when your guests arrive, you can scare them even better by having a skeleton seated near them. You can position it behind the sofa to surprise your guests. 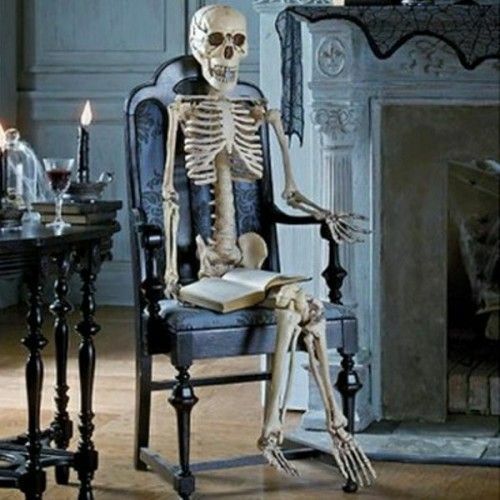 Add some props such as a table or a hat to make your skeleton unique. 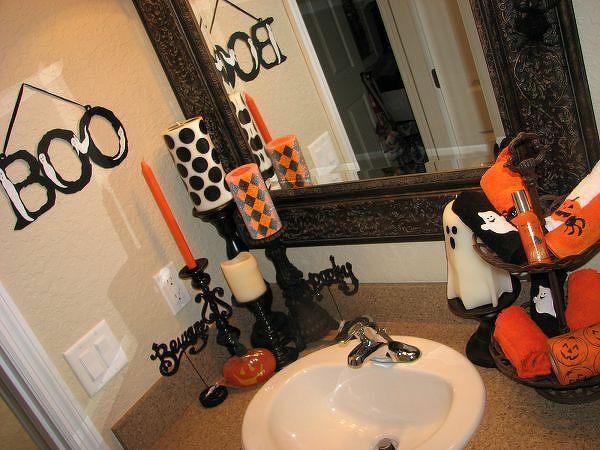 Add a scary feeling even in your bathroom by putting orange and black candles, and other Halloween-related items such as orange towels, and ghost-shaped soap to complete the experience. 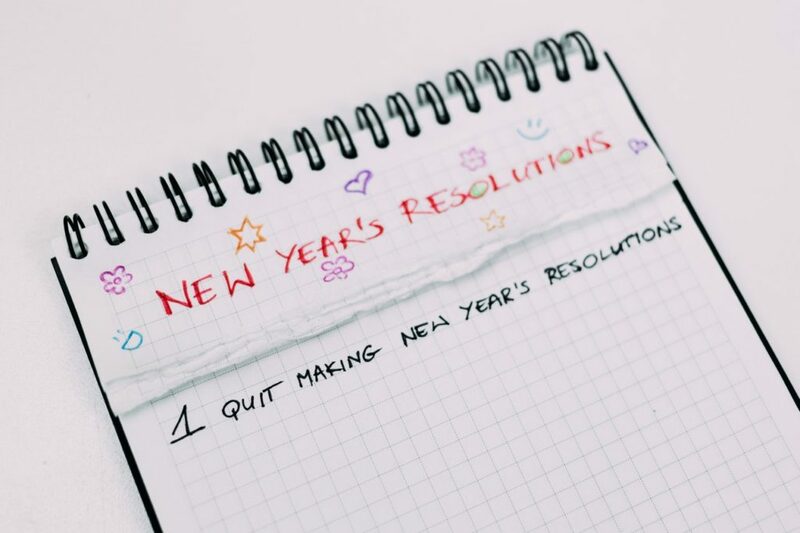 You can even write a scary message such as “Watch Your Back” in your mirrors or the toilet seat cover using washable red paint to scare your guests. You are sure that they’ll have an unforgettable and scary feeling in your bathroom. With these Halloween room themes, you are sure to have a spooktacular Halloween with your friends and family. 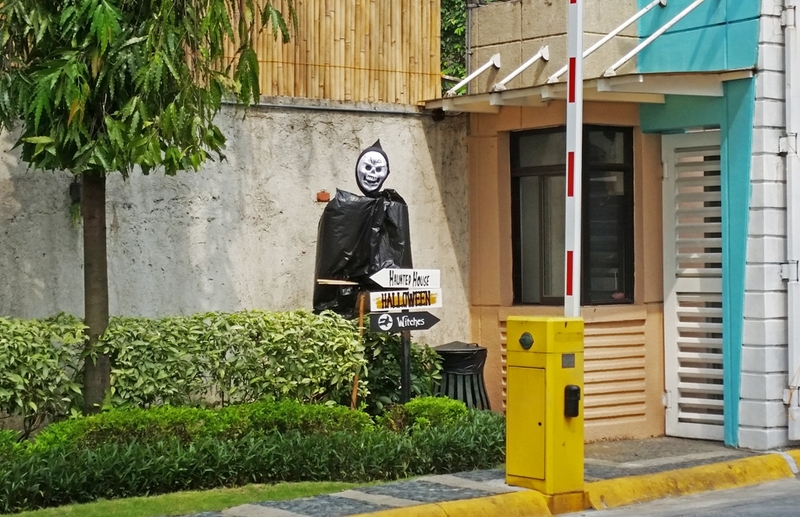 Do check the different Halloween activities provided for you by DMCI Homes which you can actively participate in. Remember that having a Halloween-inspired condo need not be expensive. All you need to have is that creativity and resourcefulness to achieve those spooky designs that you’ve always wanted.